Phone our TOLL FREE line 1-844-268-2118 or DIRECT DIAL 250-595-3892 to reach any phone line at HepCBC. (Press 1 for Prison Outreach, Press 2 for Office, Press 3 for Peer Support). All lines are staffed by volunteers. If you leave a message, in most cases, we will get back to you very quickly! *PEER SUPPORT details: Trained, experienced HCV+ volunteers are available to help via phone or email almost any day or time. If you leave a number and short message, a peer volunteer knowledgeable about hepatitis C issues will call you soon. 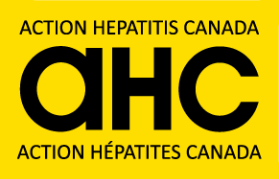 They will not leave any message mentioning hepatitis or HepCBC until they know they’re talking to you. For EMAIL Peer support, fill out our CONTACT FORM below. We usually answer very quickly! OFFICES: HepCBC recently had to close its offices due to funding shortfall. We are completely run by volunteers working from home for now (“back to the kitchen table”!). If you wish to meet face to face, we sometimes meet people for tea or coffee, or at local events. Contact us if this would work better for you than email or phone. We have volunteers open to such meetings throughout both Lower Mainland and Vancouver Island, British Columbia. MAILING ADDRESS: Contact us by email or phone for the best mailing address for the materials you are sending. EMAIL: Email us the first time with our spam-free CONTACT FORM below. TRANSLATION and INTERPRETATION: HepCBC is open to working with local groups to provide translation and interpretation of our education materials and presentations. EMAIL us the first time and MAKE COMMENTS, SUGGESTIONS, QUESTIONS, REQUESTS or ORDER FREE STUFF using the anti-spam form below. We’ll get back to you as soon as we can. Thanks for your emails! Add Me to the Mailing List? Yes!